If you like your tenkeyless keyboards as much as I do then you are probably as interested as me in the release of the Blackwidow Tournament Chroma. The only other tenkeyless with per key RGB backlighting previously was the Corsair K65. 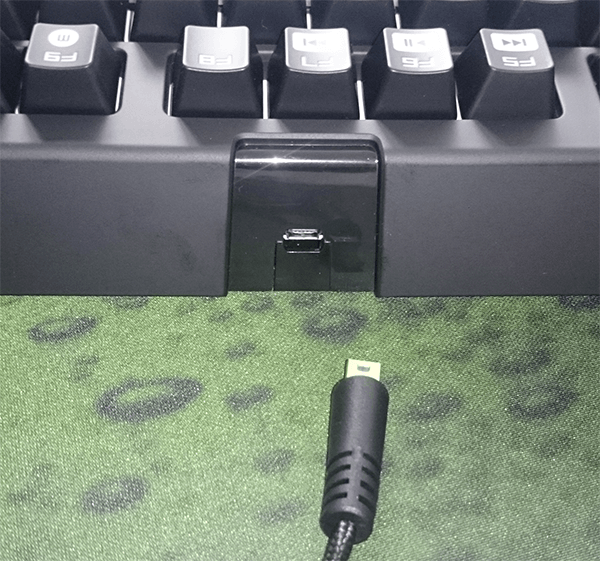 Some might not welcome the Tournament Choma with open arms as it’s using the Razer Green switch - which is equivalent to the cherry MX blues but with some slight differences. The unboxing experience is quite excellent, once you break the seal on your unit and open it you will find a hard case. 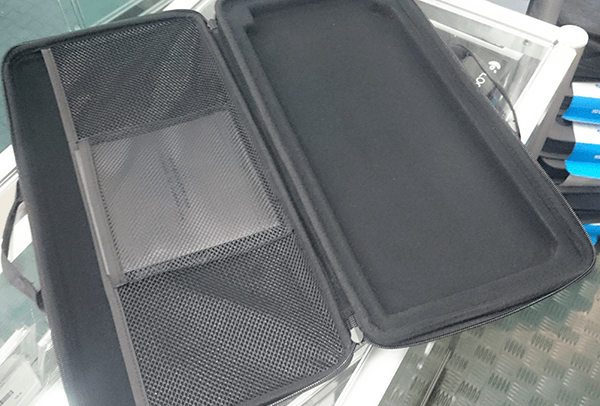 The Tournament Chroma comes with its own hard carry case to protect it. The hard carry case is a great touch – and adds to the overall unboxing experience. For some, this case will be great for transporting their keyboard to and from work, or LAN party. It would be good if razer sold the hard carry case separately and had a larger version for the full sized Blackwidow keyboards. 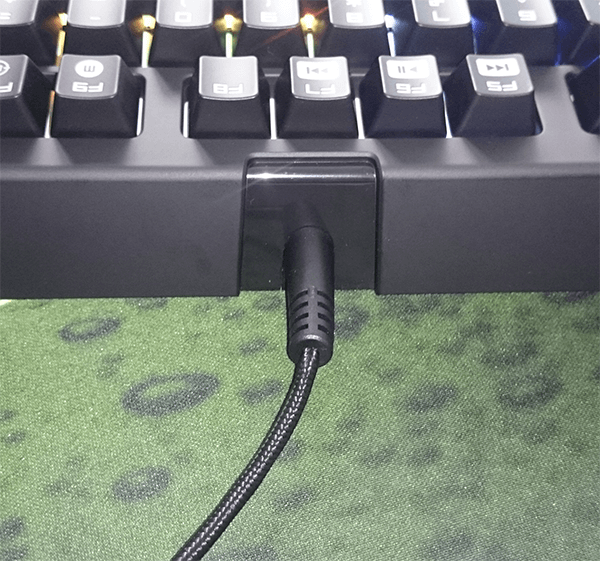 The Tournament has a detachable braided lead (same as the non-Chroma versions), a micro USB on the keyboard end to a standard USB A on the PC end. The micro USB end has a good amount of protection with some re-enforcement, I do wish the plug and connector was recessed to protect the connector from being damaged. I have seen a number of keyboards destroyed as someone was not careful and slammed the protruding connector breaking the connector. The tournament could easily suffer the same fate. If you own one or are thinking of buying one you should keep this in mind, after all, you are investing into a mechanical keyboard. The best part about any Razer product after you pull it from the packaging is playing with the software and finding just the right setting for your self. You will probably have to set an alarm, as you are going to find yourself tweaking the lighting settings for hours. There are just so many options and setting to experiment with. The software is very easy to learn, especially if you are familiar with the Razer Synapse software. It is very easy to add effects and tweak to the setting, and stack effects on top of each other. This just adds so many possibilities to the effects that you can come up with. I think a recessed connector is a must! This will undoubtedly save people from destroying a keyboard. I wish Razer and other manufacturers would stop putting a soft rubber coating on everything – the rubber coating will perish and turn into junk that will be impossible to clean off. It might feel nice when it's fresh out of the box, but within minutes the rubber coating is collecting human slime which will just build up with more use. I'm a huge fan of tenkeyless keyboards, I love the space saving on the desk and the comfort of not having to have that spread eagle stance at the desk – one hand on aswd and the other on the mouse with a whole full-sized keyboard in between. For some people, the whole back-lit / RGB keyboards are a non-event, and that's fine. There's room enough in this world for everyone. If you fit into this group you should wait and see what happens with the Chroma SDK Razer released not long ago and see if someone works it into a game you like. We are just at the beginning of a long journey with these kinds of keyboards. If you have a small desk or are someone who is trying to match all your peripherals than I think this is a no brainer. I personally will be waiting to claim my own silent orange switch when they come on the market. If you think back-lit keyboards aren't your thing then that's an easy choice for you, just get the standard tournament in either clicky or silent switches.